Great news for potential nursing school students that live in or near the 323,310 and 619 area-code zones! Three of the best nursing schools in Southern California are just around the corner from you. With the baby boomer generation getting older, and living longer, nursing jobs will continue to grow. The healthcare industry is considered a recession-proof industry because no matter what state the economy is in, the need for healthcare continues to grow. Why Nursing? Nurses play a vital role in any medical team. As a nurse you get to interact and help patients face to face and work with medical doctors. Nurses are needed to fill positions in traditional settings like hospitals, clinics and private doctor’s offices, but have career mobility. 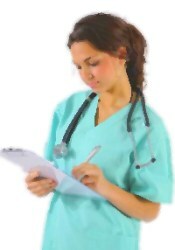 A nursing degree also qualifies you for related positions such as a Legal Nurse Consultant. What’s special about these 4 schools? All four consistently rate well in comparisons of the top nursing schools. UCLA and the University of San Diego both made the NIH.GOV (based on grant awards), and all three were top ranked by U.S. News and World Reports. This Los Angeles school is perfect for students that want to become registered nurses (R.N.s). Two basic degrees are offered at UCLA, a B.S. in Nursing and a M.S. in Nursing. UCLA also goes above and beyond, with courses for already licensed nurses that wish to earn additional certifications like “Oncology Nurse Practitioner” and ” Family Nurse Practitioner”. It’s a great place to further your nursing education,earn a specialization, or just to get started. Cal State LA offers two basic degrees: a B.S. in Nursing and a M.S. in Nursing. Specialty options including nursing administration, nursing education, mental/psychiatric health CNS, school health and nurse practitioner. Those interested in nurse practitioner specialization should know only four options are offered: primary pediatric and family, primary/acute adult and mental/psychiatric health. This school is great for students looking for a variety of options and specializations. This nationally ranked college is a Roman Catholic faith based school, but happily accepts and welcomes students of all faiths. This school offers 4 degrees: a M.S. in Nursing, a masters entry program, a D.N.P (Doctor of Nursing Practice) and a Ph.D in Nursing. Those who want to focus on a single area of advanced study such as mental health, geriatric health and family health should take advantage of the D.N.P (Doctor of Nursing) degree offered at this school. Of course, there are many more terrific nursing schools around Southern California, and some that are better suited for those interested in a 2-year degree program. Whatever your choice, we wish you the best of luck in your medical career.